These 10 movies, listed alphabetically, took Moira Macdonald to a dazzling place that she remembered long thereafter. I thought writing my list of year-end favorites for 2017 would be easy. My job at The Seattle Times changed early in the year; in February, I took over responsibility for covering books as well as movies. This meant less time for movies — and indeed I saw fewer, reviewing an average of about two per week (in the past, it was more like three or four). But! Maybe because I was being selective, maybe because 2017 turned out to be a pretty good year for film, maybe because I’m just habitually indecisive — this was tough. Nonetheless, I finally got my list down to the traditional 10 movies. As always, please note that I’m not playing the “best films of the year” game; I didn’t see everything, and I’ve never quite understood how to look at two very great, very different films and decide which one is “better” than the other. These are just 10 movies, listed alphabetically, each of which took me to a dazzling place that I remembered long thereafter. I hope all of you saw 10 — at least! — that gave you such a thrill. 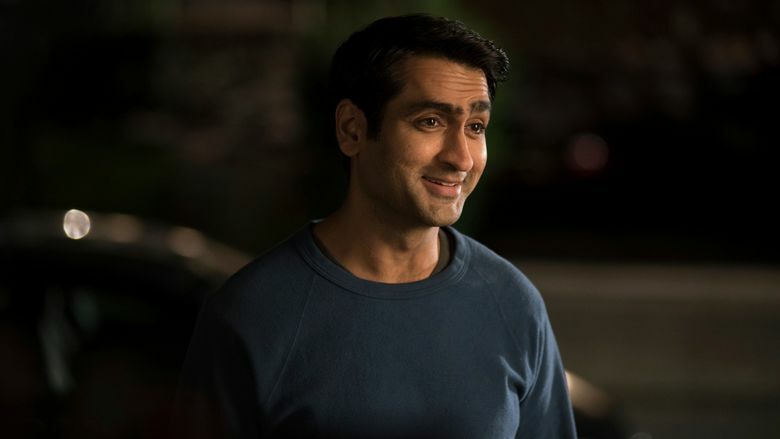 “The Big Sick.” The year’s sweetest love story, based on the real-life romance between Kumail Nanjiani (who charmingly starred, alongside Zoe Kazan) and Emily V. Gordon; the two co-wrote the screenplay. Truth is stranger than fiction; as, often, is love. “Dunkirk.” Larger than life and yet as tiny as a breath, Christopher Nolan’s dazzling World War II epic put us on land, sea and air. What stays with you, though, is its quiet moments, and the aching sense of home — both as something we yearn for, and something that takes care of us — that pervades it. 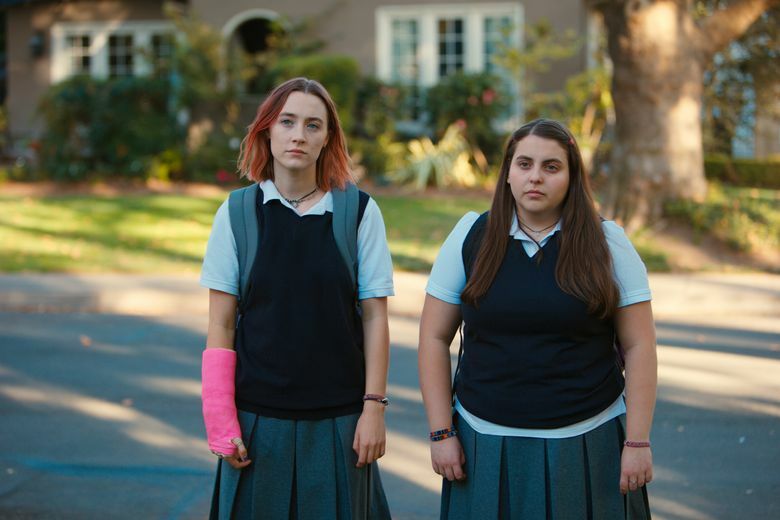 “Lady Bird.” Greta Gerwig’s enchanting debut was both a showcase for one of the year’s finest performances (Saoirse Ronan, as always, telling infinite stories on her fluid face), and a moving depiction of mother/daughter love. “Lady Macbeth.” I couldn’t quite get this stark, brooding drama, from first-time feature filmmaker William Oldroyd, out of my head: the colors, the costumes, the way its main character (astonishing newcomer Florence Pugh) seemed to age and harden before our eyes. It’s not Shakespeare (despite the title), but it might have been. “Phantom Thread.” Seattleites will have to wait for this one — it won’t be in local theaters until Jan. 12 — but it’s worth the wait: Daniel Day-Lewis, in which I devoutly hope will not be his final acting performance (though he’s said it will be), transforms himself into a moody 1950s London couturier in Paul Thomas Anderson’s stitch-perfect drama. “The Shape of Water.” Like water, this movie engulfs you and sweeps you away. Guillermo del Toro’s dream of a creature feature is both weird romance and haunting love letter to old movies. Sally Hawkins, in a nearly silent performance, turns her face into a cinema screen. “Step.” I can’t quite explain why no other movie this year made me cry like this one did. 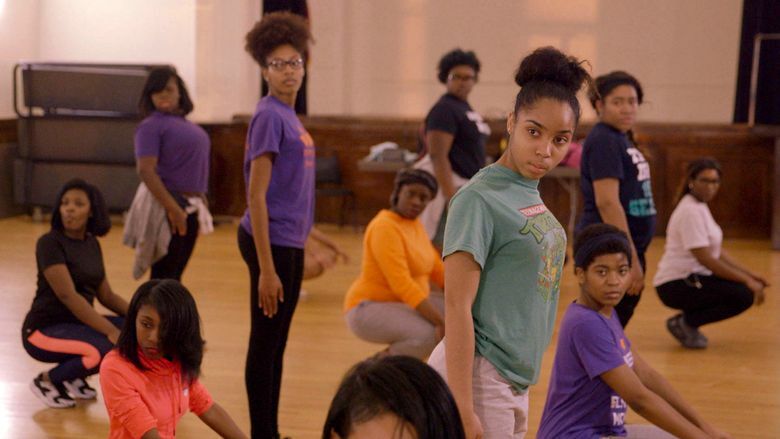 Amanda Lipitz’s documentary, about a group of Baltimore high-school seniors rehearsing for a step-dance contest while making college plans, caught something beautiful about dreaming big — and about how women can lift each other up. “Their Finest.” This little gem slipped in and out of theaters last spring; perhaps it’ll find a second life streaming. Set in World War II-era London, at a wartime film-production office, it’s both workplace comedy, gentle period drama, and (thanks to Gemma Arterton and Sam Claflin) pitch-perfect study in screen chemistry. Thirteen other splendid films, each of which might have made my list on a different day: After the Storm, Baby Driver, Battle of the Sexes, Call Me by Your Name, Darkest Hour, The Florida Project,Frantz, Get Out, Loving Vincent, Maudie, A Quiet Passion, Wind River, Wonder Woman. As always, I’ll close out the year with a wish that the new year brings us laughter, joy and peace — at the movies, and elsewhere.